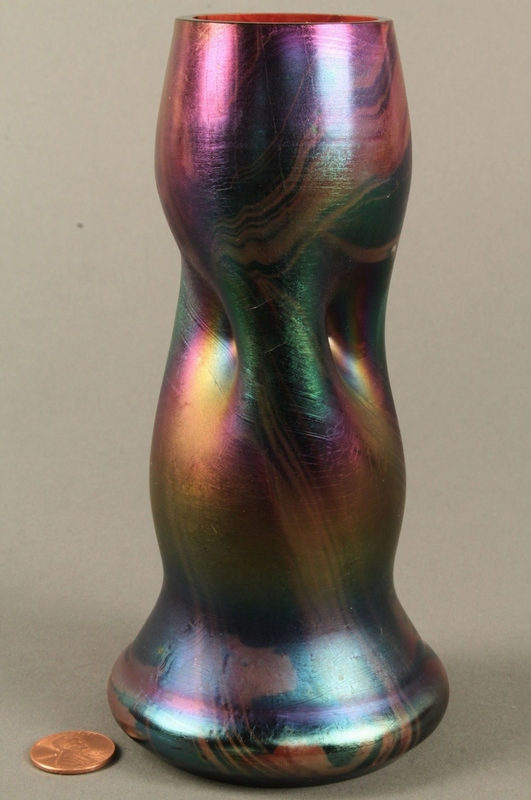 Rindskoph art glass pinched bud vase, swirled iridescent design. 6 1/4" H. Early 20th century. Condition: Excellent condition.